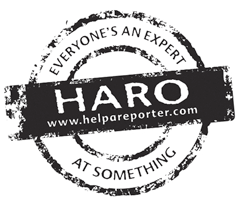 Google Penalizing Sites For Help A Reporter (HARO) Links? Home > Google News > Google SEO > Google Penalizing HARO Links? Not Really. Google Penalizing HARO Links? Not Really. Bill Hartzer wrote that Google has targeted HARO, Help A Reporter, links in the latest manual action of unnatural links. HARO links? Really? Would Google do that? Well, not exactly. The links were because of HARO but the links that caused the penalty were not on helpareporter.com. Bill told me it was due to an interview received through HARO, which was then syndicated on other sites. The other sites were called out as bad and unnatural links. The bad part is that it wasn't like this person generated a press release with links and submitted it. They were interviewed HARO, someone wrote something up, it was published and the interviewee was penalized by Google because of it. So the source of the link was through HARO but the link itself was not on helpareporter.com, it was on a site that syndicated the content. Either way, it is a bit strange and I hope to dig into this more and post a longer story on Search Engine Land later today on this. Previous story: Google+ Dying? Would That Impact Google's Search Results?